It seems tables are now turning on the men oh. As another lady has come out to say that her husband does not have the right to question her for cheating because it is in women's nature to cheat. 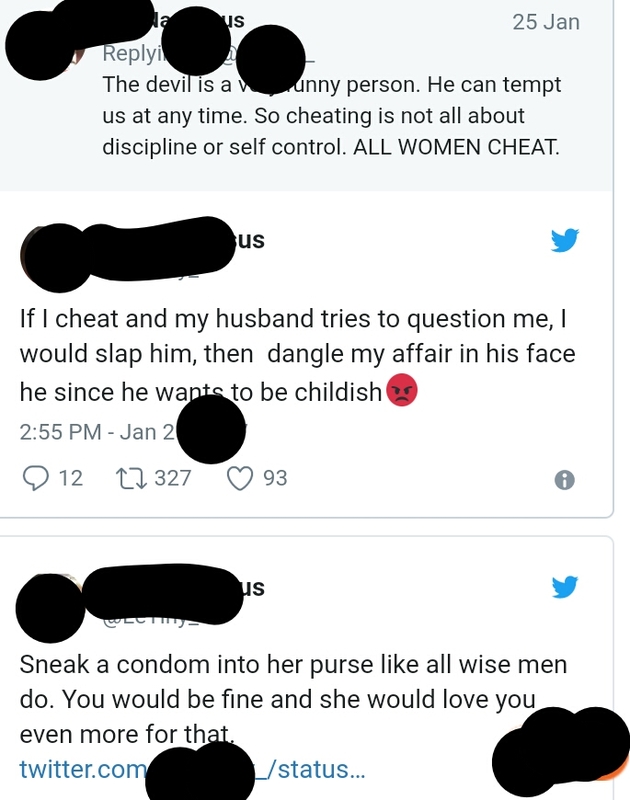 In a series of sarcastic tweets on Twitter, the lady tweeted what men want women to believe about their cheating habits but she changed men roles in the tweets to that of women!